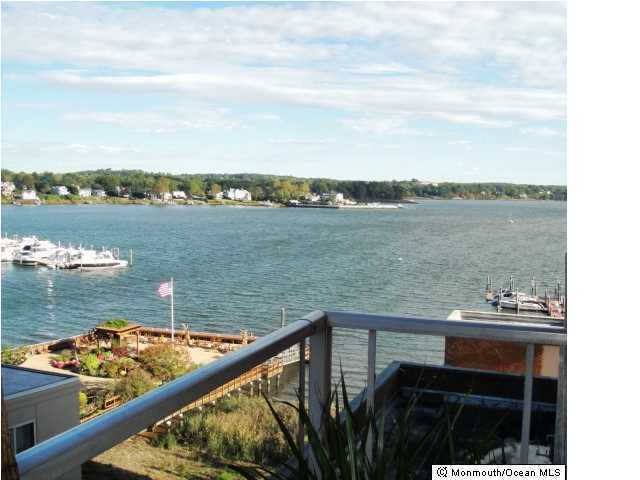 Enjoy the Red Bank lifestyle at Riverview Towers! Spend your summers at our pool & marina on the Navesink River! Spacious 1BR features riverviews from balcony, LR, DR & BR, hardwood floors throughout, eat in kitchen and updated bath. Building offers 24 Hour Security, underground parking & laundry facilities. Close to theaters, dining, shopping and NYC trains. Monthly fee includes RE estate taxes, association fee, gas, water, sewer, common electric, and pool. No pets.